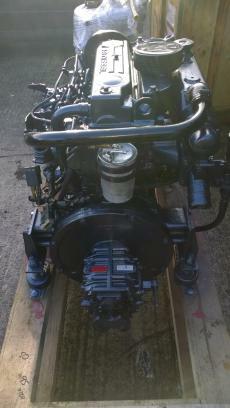 Thornycroft T110 (Based On Ford 1800XLD) 56hp 4 Cylinder Marine Diesel Engine Package Complete With Gearbox, Gauges & Loom. 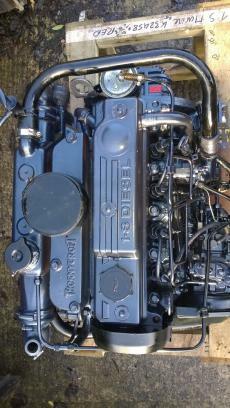 This engine was replaced as part of a planned refit on a large Moody sailing yacht and was professionally fully rebuilt in 2007/8 including new pistons, rings, bearings, valves, all gaskets and seals renewed etc. 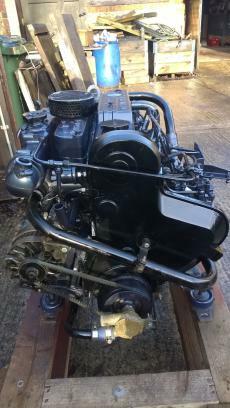 We have test run the engine at our workshops and found it to be in excellent order apart from requiring a cosmetic clean and repaint which has now been completed. Delivery can be arranged anywhere in the UK or Worldwide at buyers cost.